Do you enjoy outdoor concerts in the summer? 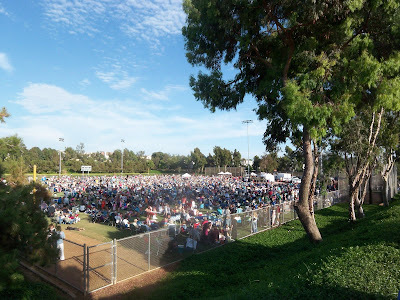 Carlsbad, where I live, has a 10 concert series on Friday nights in the local parks. Their TGIF Jazz in the Parks is a fun, free way to enjoy the summer evenings. You can learn more about these concerts here. Discovering new restaurants in my area is always fun, even if the place is not actually new. In this case I just tried out a place that has only been open for a few months in Leucadia, the funky community in north Encinitas along the coast. 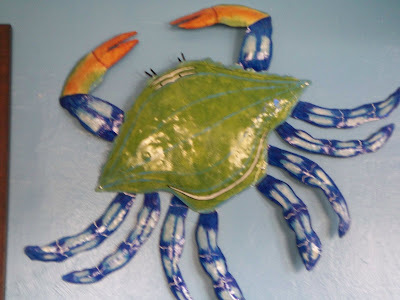 Auggie's House of Crab opened a number of months ago and is well wroth the visit. I stopped in for the lunch special the other day and will definitely go back. If you like good fresh seafood in a no frills kind of place, Auggie's is worth the trip. You can read more about Auggie's House of Crab here.